So, for the second straight year, Niantic will encourage Pokémon GO to assist with cleanup events on Earth Day, April 22, while catching pocket monsters. This year, Ingress factions are invited to play and pick up trash as well. "We're excited to announce our second annual Earth Day campaign coming this April. As some of you recall, we celebrated Earth Day last year and made some major impact around the world," said Yennie Solheim Fuller, civic and social impact manager at Niantic, in a blog post. "With thousands of players lending a hand across 68 events and countless NGOs leading the way, we collected 6.5 tons of garbage, making way for cleaner, healthier communities. To say we were proud of all of our players is an understatement." Players who participate will reap benefits via game rewards, with rewards increasing based on participant milestones. For example, if 7,000 players congregate for an event, Pokémon GO players can earn twice the stardust and candy for creature spawns, win Groudon in raids, and find Shiny Diglett, as well as benefit from increased appearances from ground-type Pokémon. This year, Niantic has once again enlisted Playmob as the clearinghouse to organize the events, and that partner company has established a webpage to enable players to find events near them and submit events for inclusion. 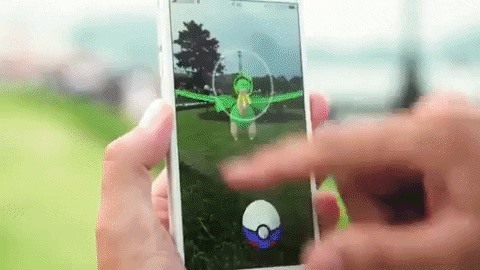 However, individual players and small groups can also qualify by tagging @NianticLabs on Twitter and using the #augmentedreality hashtag when sharing content. "Many of our partners are not only hosting cleanup events but are engaging in long term impact projects that seek to make significant positive impact in local communities around the world," said Solheim Fuller. "They are looking to engage with communities to make a difference over the span of one day, and over the long term. By participating in these Earth Day cleanups and learning more about local NGOs, players can have a larger impact on their communities and the health of the planet. Long term impact projects include educational initiatives for school programs and community organizations, as well as replacing pollution with new plants." It's not often that players can help improve their communities while playing games, but Niantic has been making the case that its games can be used as a tool for bringing people together for higher purposes. The company funded a study last year that showed municipalities how the games can also be used to engage citizens. Because it is designed to get players off the couch and into the outside world, location-based augmented reality gaming models are already the best suited genre for bringing people together. And as augmented reality platforms improve, the possibilities for interactivity between players and environment could become even more useful for achieving real world objectives as those outlined by Earth Day.